I gave my portfolio a dividend booster today. Several purchases went in this morning. Close to $15K was bought which will prop up quite a bit on my income. I try to balance some of the low yield purchases with higher yield ones. On average my portfolio seems to be around 2.7% average yield. After this purchase my forward annual income hit $15,014 US dollars. 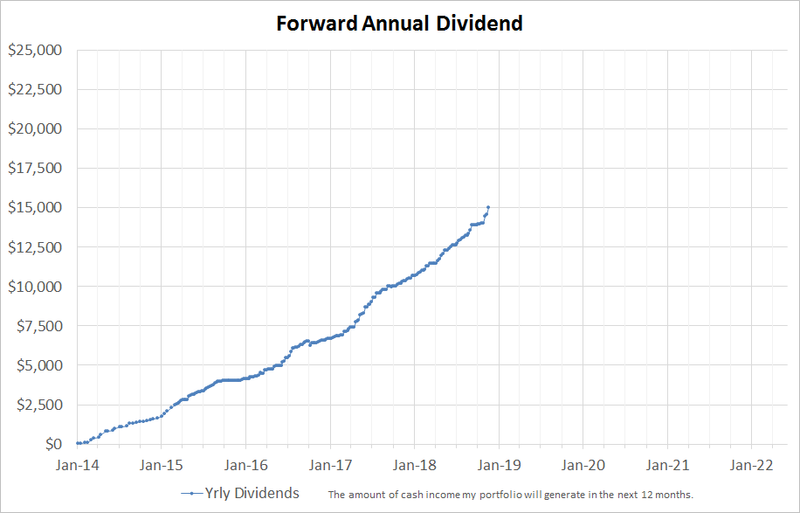 Holy freaking cow Young Dividend. That is some serious capital added. I love the names of the companies you purchased and those are some serious, serious, dividend payers. Wow. You really are not messing around these days, nice work!